So you think you’ve executed an effective SEO strategy — you’ve brought all your collateral under a single domain, named your pages in a thoughtful way and used appropriate keywords throughout your content — but what about social media? Let’s look at inbound marketing strategy through the metaphor of dance. SEO strategy is a passionate Paso Doble — complicated to learn, but incredibly effective once mastered. Social media strategy is a modern dance — engaging and entertaining, expressing a unique voice. Together, SEO and social media are a tango — swirling beautifully together the way only a reciprocal partnership can. So how can you use social media to lift your SEO? 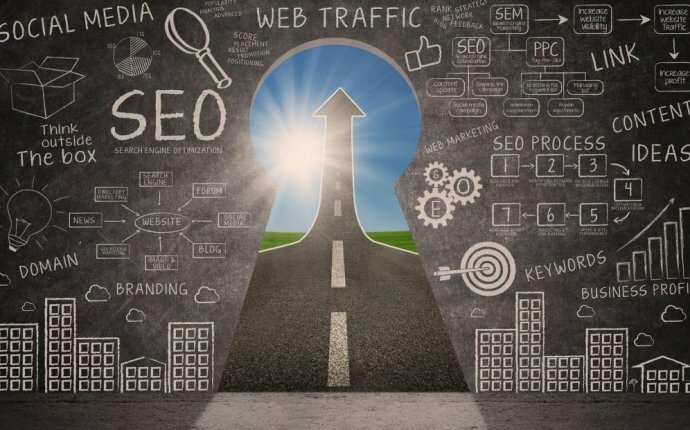 Let’s walk through some SEO basic steps, and then briefly shimmy through how each social network can vault you to the top. Search Engine Optimization (SEO) is the practice of optimizing your content so that search engines a) can find it easily, and b) regard it as quality content, resulting in higher rank in search engine results. Google ranks pages higher that its search algorithm deems better quality or more useful. One of the ways it determines if a site has high-quality, useful content is tracking how many people are linking back to the site’s content, thereby endorsing it as something they found useful. How exactly social media shares are prioritized in relation to other inbound links is not clear—but a site with lots of social media shares proves itself higher quality and more useful than a similar site with fewer social media shares. Social media networks like Facebook, Twitter, and Pinterest are responsible for a steadily-increasing amount of web referrals. These social media networks are sites that people are already spending time on, so when a link shows up in their feed, they may click on it solely based on their friend’s recommendation. These referrals are visits that only social media can generate. If you aren’t posting your helpful content on these networks, you are missing out on the traffic that results from your fans sharing your links with all of their friends. Integrating social sign-ins to your site can encourage discussion by making it easy to comment on your blog. Adding the barrier of registering for a new account through whatever platform your site uses for discussion could be enough to deter someone from engaging in discussion on your site, but if there is a simple Facebook or Twitter sign-in option, they are more likely to post their comment. Other social media integrations, such as a sidebar area that shows how many of their friends like your business can reinforce your credibility and encourage them to become a fan as well — positive peer pressure! If no one sees your content, it doesn’t matter how great it is. Make it easy to share your content by adding obvious social share buttons on each page or blog post. Your visitors are much more likely to share your page with their networks if there are easily visible share buttons. Social media shares are a meaningful direct endorsement in and of themselves, but they also provide additional indirect value. By sharing your content among their network, your content gains an exponentially growing audience. The easiest place for you to get noticed is on the networks that people already frequent. Getting your content shared on social media is a testament to the quality of that content. Here’s a look at each network with tips for driving more traffic to your website.